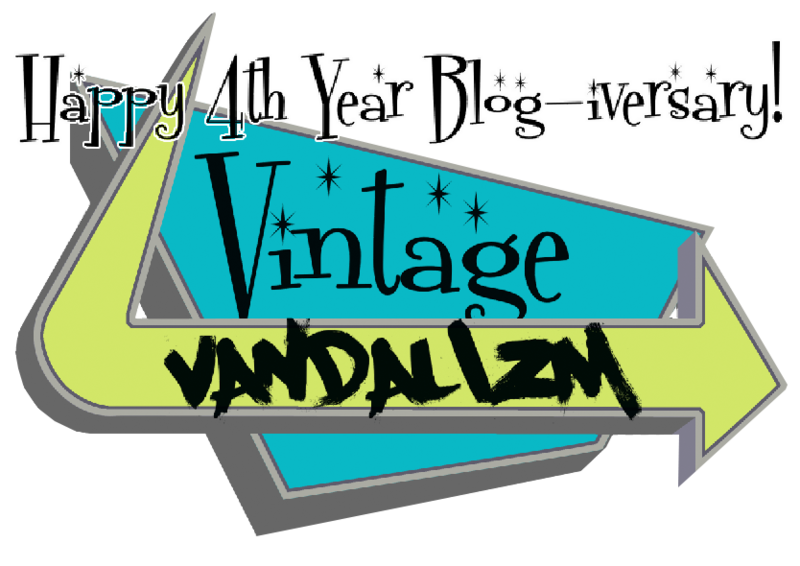 Happy 4th year Blog-iversary of VV.com! Today, 4 years ago I decided to take blogging to a whole different level. My mission was to show the world my creativity with fashion, to inspire the masses, and to start a revolution of artists who ignore the guidelines and standards of society in terms of self-expression. My goal was to set my readers free from a world full of restrictions and limitations that state we are to look, speak, and act a certain way. I never thought in a million years that my blog would be where it is today and I am so thankful that by believing in myself, I was able to reach success and inspire people. For some, success equals being rich and living in Beverly Hills, but for me..Success is being able to change the lives of people around you in a positive way and I feel so fortunate to have done that for many of you. It has been a very rewarding and wonderful journey as a blogger to be where I am today and have friendships with amazing people from all over the world who support my endeavors. I still have a long way to go and am still growing as a person and can’t wait to see how VV.com evolves in the near future. I just want to thank you all for being so wonderful and supportive of me throughout my years as editor of VintageVandalizm.com. You all inspire and motivate me to keep going and that is a gift I treasure the most. ← Preview of my shoot with Lone Star Pinups! …I check your blog everyday and LOVE locking at your beautiful pictures. Always inspiring. Congrats Jas! Your blog is by far one of my favorites to read. Congratulations Jasmin! You are truly talented and very committed to self expression. You have served as inspiration for many people including myself. I wish you continued success for the future and may you continue to touch hearts worldwide xoxo! Congratulations! I look forward to the next four years!! Here’s to you and looking forward to the many fabulous posts to come. Happy Blog Birthday Jas! Congrats on your success and I’m sure much more is to come! awesome! congrats lady!! well deserved.